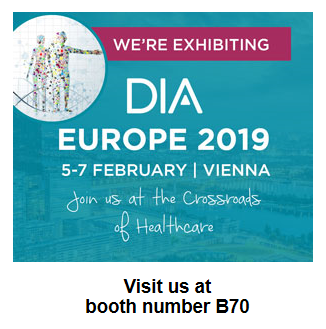 EUDRAC will be exhibiting at the annual DIA Europe Meeting in Vienna, Austria from 5th - 7th February 2019. Our team would be pleased to welcome you at booth number B70 to discuss your potential regulatory affairs, pharmacovigilance and publishing needs. A member of our Management Team will be there to answer your questions. For more information on the DIA Europe Meeting please click this link https://bit.ly/2QajkfW.